The Global and Multicultural Committee is composed of a passionate group of scholars dedicated to fostering research, teaching, and industry exchange about global and multicultural advertising. As a committee, we seek to develop and maintain relationships with scholars, educators and practitioners from around the world, gather relevant resources that will support scholars’, educators’, and practitioners’ work, and serve as a welcoming hub for discussion about issues concerning global and multicultural advertising. Our committee uses the term global broadly to indicate all regions of the world engaging in advertising communication, research and/or teaching. The breadth allows for advertising that focuses within both a specific country as well as advertising issues across different cultures and countries with varied economic development, market complexities, media availability, legal restrictions, languages, and consumer preferences. The focus of interest could be anything from structural issues within an industry affecting advertising from one country to another to psychological, sociological, or demographic similarities or differences within or across nations. Our committee uses the term multicultural broadly to indicate an interest in research, teaching and industry practices across varied markets impacted by cultural differences (and similarities). “Varied cultures” include ethnic specific advertising as well as racial but also can include cultural aspects based on language, food preferences, religion, sexual preferences, GLBTQ issues, age, gender and so on. 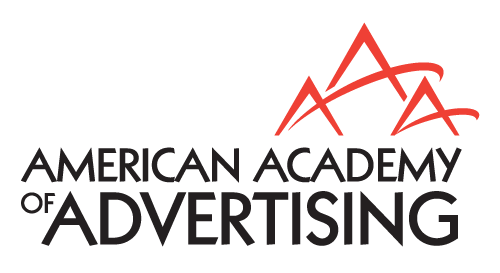 The mission of the Global and Multicultural Committee is to promote and facilitate the American Academy of Advertising’s role as a leading forum for sharing knowledge about scholarship, education and practice in multicultural advertising. Need some ads to illustrate that brilliant international advertising lecture? Looking for a research partner to start a dream project? Searching for a professional development opportunity far away from home? Welcome to the AAA Global and Multicultural advertising resource page. As each section of the website goes live, we hope to evolve into your one-stop-shop (or take-off point) for all things global and multicultural in advertising teaching, research and professional activities. We hope you find the site useful and visit often. Of course, as an all-volunteer committee we cannot do it all without your help. If you would like to get involved in growing this valuable resource, we would love to hear from you. Send us your ideas, web links, examples, requests, or international advertising related materials.